A. Jaffe, a leader in bridal jewelry, crafts the most exquisite jewelry designs. This classic A. Jaffe semi mount truly sparkles and shines within its radiant diamnod halo and sides adorned with 26 opulent round diamonds, .27 tdw. See this gorgeous A. Jaffe ring in person at Tara Fine Jewelry Company. 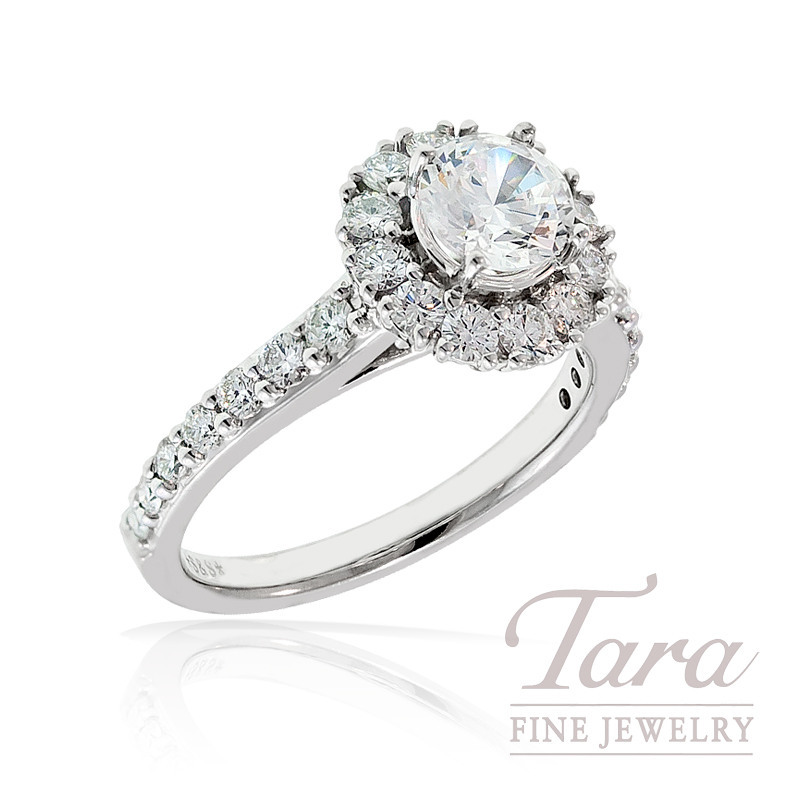 Home to the most prominent names in jewelry design, Tara Fine Jewelry Company is conveniently located 3 miles from the Mall of Georgia and is Atlanta's premier jeweler for designer jewelry and luxury Swiss watches. Showcasing Swiss timepieces by Rolex, Tag Heuer, Omega and Breitling, Tara Fine Jewelry Company offers unrivaled customer service and the finest high quality jewelry. A. Jaffe Diamond Wedding Band, .56 CT TW.